Now and then music will just appear out of nowhere by a band I've never heard of - such is the case with "Beneath The Black Sea" by LNZNDRF (pronounced "Lanzendorf"). It's a fuzzed-out jam of a song that had me hooked immediately and left me wanting to learn more about the band. Turns out the group is made up of members of The National and Beirut, two of my favorite bands - no wonder I was an instant fan! 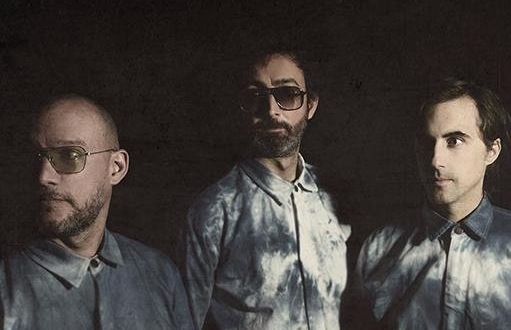 Formed in 2011, the trio includes The National's Devendorf brothers (bass player Scott and drummer Bryan) along with Beirut member plus collaborator with The National and Sufjan Stevens, multi-instrumentalist Ben Lanz. (Lanz also has a musical project called Hoferlanz.) They bonded over early influences of Krautrock and post-punk, and decided to celebrate that spirit again. LNZDRF's self-titled debut album came out in February with eight tracks crafted from 30+ minute improvisations, recorded over two and a half days in a Cincinnati church (hometown of the Devendorfs). Listen to the "Beneath The Black Sea" in a live video here, and check out the rest of the album as well.